The standard medical deductible has slowly risen over time. 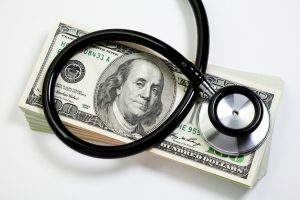 It is understandable because organizations want to keep their medical costs under control. Younger employees might not notice this. They are healthy and do not use the group health insurance that often. Older employees do, and their medical bills can consequently threaten financial well-being. A person’s body is more vulnerable as that person gets older. Diabetes, high blood pressure, and age-related diseases will require increasingly more medical attention. Dental bills can also pinch a wallet. Crowns and partial plates can cost thousands of dollars and insurance won’t pay all the bills; the individual is responsible for the deductible. A middle-aged employee might face sizable medical debt caused by high deductibles. He or she needs help and Countrywide Pre-Paid Legal Services can assist. We offer a financial wellness plan that makes a difference. A national network of certified counselors provides the services. This nationwide presence means a Countrywide counselor is available even for remote employees. A budget analysis will show where cash for medical bills can be accessed. The Countrywide counselor can point out cost-cutting strategies and savings. These can help bring the overall debt down. Too many people do not know how to manage debt properly. They panic when the bill comes in and will make hasty decisions. A Countrywide counselor knows most healthcare providers will work with the patient. The provider can be quite reasonable and structure an acceptable payment plan. Countrywide can help a person negotiate a payment plan that fits well within the budget. A person’s financial wellness is thus stabilized. Employers want their employees to be sensitive to health care costs. Weight control, smoking cessation programs, and nutritious diet plans keep employees healthy and the medical claims experience down. A Countrywide financial wellness plan will complete the picture. Employees not only have a healthier lifestyle, but they also can effectively manage any medical bills they incur. A client can shape their respective plan to meet the needs of their employees. We let the client select the financial wellness options they, the decision-makers, believe are best suited for the employees. Countrywide will supply some guidance, but the employer makes the final decision. Our most significant contribution is the service. We do not select our certified counselors at random from a list. We want these professionals to be able to interact with financial wellness plan members easily. Those people, the plan members, might be a little bit embarrassed about talking to anybody about their finances. Our counselors must have the empathy and patience to be able to offer advice and at the same time make the client feel valued. It does not matter how great the counselor’s expertise happens to be. If this person cannot show considerable emotional intelligence, then there is no place in the Countrywide system for his or her services. Also, our administration is streamlined to allow people to get needed help as soon as possible. We do not want anyone to wait too long. We are proud of the fact that our services have been received favorably by clients and a long-term relationship between us and those organizations is common. Older employees need assistance as much as a young college graduate does. Help with sorting out the budget and meeting medical bills is something that they are going to appreciate. Forward-thinking organizations know the importance of financial wellness, and how it helps employees have higher rates of morale and be productive at the same time. Countrywide has other options in the program, such as help with college loan debt. We encourage all interested parties to contact us at their earliest convenience. We offer something that can be of great value to all employees.